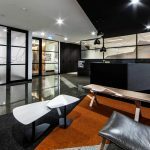 The IA Design team collaborated with FDC and Brisbane Marketing to design an innovative co-working environment across three levels in the Brisbane CBD. This incredible space spans 2,400m2 and features a stunning rooftop breakout and event area in an ISPT building. 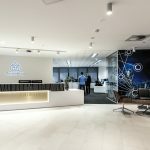 This project was designed and documented over a 7-week fast tracked program, working closely with FDC, Brisbane Marketing, CBRE and Fishburners/Little Tokyo Two to deliver a unique outcome. Since its opening, this co-working environment has been featured in The Australian and recognized for contributing towards Brisbane’s drive to become a global digital leader.